This guide is one of two that are going to be showcasing to you a range of land based casinos that are located in the Scottish City of Glasgow. This guide unlike the other one is taking a look at those land based casinos that are based centrally in Glasgow and as such these venues will be very easy to access if you are staying in the City Center. What you will find about all of the casinos we are about to showcase to you is that they are fairly large venues and when visiting any of them there will be plenty of different casino games you can access and play at those venues too. However, if you ever get the urge to play online casino games and you do live anywhere in Scotland then those casino sites you will see displayed, listed and fully reviewed on our website are going to be the very best ones for you to sign up to and play at as they are all licensed casino sites! Glasgow is one of many cities based and located in Scotland with a population of 598,830 and much like all other cities in Scotland a great number of people tend to visit each year, and below you will find a short video presentation of Glasgow which may interest you if you fancy visiting. When visiting Glasgow you will find there are many places you can gamble in and those include lots of betting shops and betting offices, amusement arcades and of course land based casinos too. If you do live in Glasgow or you are visiting Glasgow you will need to be over the age of 18 to be able to legally enter a casino and gamble there. Be aware that there are other forms of gambling under 18’s can partake in when in Glasgow and those include buying scratchcards and playing the National Lottery and playing low stake fruit machines in amusement arcades too. One thing that you will need to have on you is photo I.D. be able to gain entry into a casino in Glasgow and when playing at an online casino you will be required to supply some form of identification to the casino site you are playing at that has your name, age and current address printed upon it. The top and most visited land based casinos in Glasgow are listed below, if you are planning a trip to Glasgow then you are going to find plenty of different casino games are available to you at each of the following casinos, but you will need to be over the age of 18 to gain entry to any Glasgow casino venue, for more information on any Glasgow casino please visit the casinos website listed below. There are 6 casinos in and around the Glasgow area, and below you will find all of the contact details of the ones we think you will enjoy visiting the most in order of their popularity. Alea Glasgow – The address and contact details of this casino are: Address: Springfield Quay, Paisley Rd, Glasgow G5 8NP, UK Phone: +44 141 555 6100. Genting Casino Glasgow – If you plan on visiting this casino then here is the phone number along with the address: Address: 506-516 Sauchiehall St, Glasgow G2 3LW, UK Phone: +44 141 332 0992. Princes Casino Glasgow – Another land based casino you may be interested in visiting is this one and you will find the address and phone number are as follows: Address: 528 Sauchiehall St, Glasgow G2 3LW, UK Phone: +44 141 332 8171. Any Glasgow land based casino needs to have the relevant planning permission and licenses for that venue as issued by Glasgow Council. You will also find you can play at many online casinos and mobile casinos some of which are licensed by the Isle of Man Gambling Supervision Commission. Playing at a mobile or online casino in Glasgow will see you also being able to access and play a very large range of different casino games many of which may have designed by Amaya Gaming. 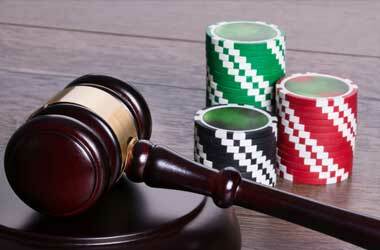 All forms of gambling in Glasgow are regulated and licensed by the UK Gambling Commission. If you have any questions regarding any form of gambling in Glasgow or wish to make a complaint about any casino or gambling establishment in Glasgow then you will find information on how to do so on their website. This section of our guide to Glasgow land based casinos and also casinos that you can access online in Glasgow is going to be answering a range of additional questions that you may be seeking the answers too, so please do read on. If you want to visit a land based casino in Glasgow you will be best advised to check the respective website of the casino you wish to visit for information on their opening times and also the range of games that you will be able to play there too. Why do some players always win? If you think that there are some players who always win when they play in a land based casino then think again, whilst it is possible to have plenty of continuous winning sessions when visiting a land based casino the opposite is always true! Every game you will be able to access and play will be completely random! Do I have to wear a shirt and tie? Many land based casinos have something of a relaxed dress code and as such you are not going to have to dress up in a suit and tie to visit any casino in Scotland or the rest of the UK, however it is always worth checking a casinos website just to make sure, as some casinos in other towns and cities are quite strict when it comes to their respective dress codes! Can I get free drinks at a land based casino? If you want to get free drinks at a land based casino you will be best advised to see if the casino you wish to visit will let you get free drinks by phoning them up or by taking a look over and checking their websites, if not keep in mind there will be other land based casinos in surrounding towns and cities that may let you get free drinks! Where would you advise I play Progressive Blackjack? Progressive Blackjack is one of a large variety of different Blackjack games that you are going to be able to play at Playtech software powered casinos, and this game can be played for variable stake levels and if you have never played Progressive Blackjack before then read on! Progressive Blackjack boasts a house edge of 0.49% however to get the house edge that low you will have to play each hand perfectly and optimally and this game has 6 decks of playing cards in play in the shoe and whenever a Dealer has a soft 17 he is going to Stand that hand. Which casinos have the Dr. Lovemore slot game on offer? Playtech software powered casinos are where you will find the Dr. Lovemore slot game and the one reason why many players do enjoy playing the Dr. Lovemore slot is that it has been designed to offer some very high valued winning payouts via both its base game and its bonus game too. The Dr. Lovemore slot is also one on which you do get a very fair chance of winning, for it comes with a very high RTP and for reference the long term RTP of the Dr. Lovemore slot machine has been set at a huge 97.01%, so do try and track it down soon if you want the very real chance of winning big when playing slots online! There can often be special promotions running at both online and land based casinos, and as you will of course want your gambling budget to last as long as you can make it last then it may be beneficial for you to check the websites of any casinos you intend to pay a visit to or play at online and then compare just what offers they do have available to you! Mountfern Adult Centre13 Rugby Avenue Coleraine, United Kingdom, BT52 1JL is where you will find a Gamblers Anonymous meeting being held if you do feel that you cannot control your gambling and live in or around the Glasgow area, and you can get the dates and times for that meeting and full directions to that venue from the GA website.